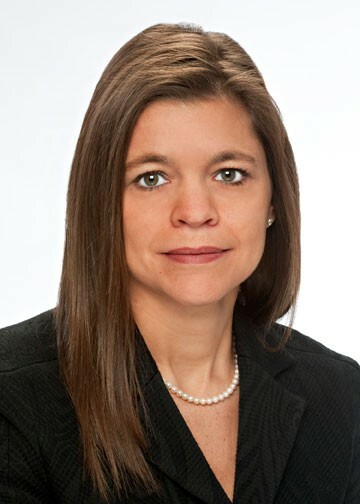 InvestAcure, PBC announced today that Heidi V. Pickett, Assistant Dean of the MIT Sloan Master of Finance program, has joined the InvestAcure PBC advisory board. InvestAcure is building a spare change investment platform to enable those impacted by Alzheimer’s to invest in companies working on a cure. Ms. Pickett has joined the advisory board to use her expertise in finance and academia to guide the company in implementing its vision. She will also work in helping to define the guiding financial parameters of InvestAcure’s Common Need Investment model, as a unique market-driven solution which can empower all of us to partner in ensuring that promising scientific discoveries are turned into lifesaving cures. "When Harvey Pitt, former chairman of the SEC, visited MIT and mentioned InvestAcure as an example of a company using Finance for good, I was intrigued by the idea as it both spoke to my core values and was inspired by the research of my colleague, MIT Professor Andrew Lo, on the growing investment bottleneck stifling the development of lifesaving cures. I believe that Common Need Investment of spare change by millions committed to curing Alzheimer's is a potentially game-changing solution to that bottleneck. If successfully implemented, it can speed the development of lifesaving drugs and save countless lives. I'm excited to be an advisor to the InvestAcure team and do my part to help make this a reality," said Heidi Pickett. “The InvestAcure Common Need Investment model is a new and innovative solution to one of the biggest problems we face as a society. With the help and guidance of Heidi Pickett as a world class finance and academic expert, we hope to realize the full potential of this vision to speed the development of vital treatments and drugs,” said Max Tokarsky, the CEO & Founder of InvestAcure. Heidi V. Pickett is the Assistant Dean of the MIT Sloan Master of Finance program. With over 20 years in financial services, Ms. Pickett has expertise in corporate development, business strategy, and global operations. Ms. Pickett was named Malone Fellow in Arab and Islamic Studies where she spent time in Oman during a period of profound change throughout the Middle East. Ms. Pickett is the President of the Verrill Foundation; her interests include global and local community focus on the education and wellbeing of women and girls. She is a member of the Board for Invest in Girls. Ms. Pickett received a Bachelor of Science in Finance from Bryant University and a Master of Science in Accountancy from Bentley’s McCallum School of Business and completed the Executive Development Program at the Wharton School. For additional information about InvestAcure, PBC visit www.investacure.com or email info@inverstacure.com.